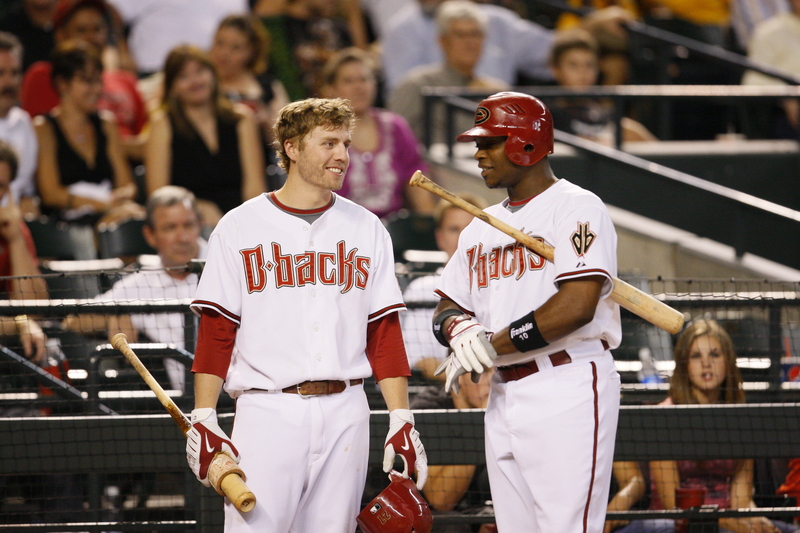 D-backs third baseman Mark Reynolds and outfielder Justin Upton each received votes on MVP ballots, as the award was announced Tuesday afternoon. St. Louis Cardinals slugger Albert Pujols won the award, collecting all 32 possible first-place votes. Reynolds had a breakout season, posting team-highs with 44 home runs, 102 RBI and 98 runs. Reynolds, whose 662 plate appearances led the D-backs by far, also wound up leading the team in stolen bases and walks. He drew one eighth-place vote, one ninth-place vote and one 10th-place vote. Upton batted a perfect .300, and his .366 on-base percentage was second behind Ryan Roberts’ .367 mark. Upton’s .899 OPS led all D-backs. He tied Reynolds and Montero for the team lead with 30 doubles, and led the club in hits with 158, a particularly impressive achievement for a player who only played 138 games because of a stint on the disabled list. Upton received one ninth-place MVP vote. The notice comes on the heels of Dan Haren finishing fifth in a remarkably deep field in this year’s National League Cy Young voting. Haren led the D-backs in essentially every significant pitching number — wins, ERA, innings pitched and strikeouts. Haren’s 1.003 WHIP (walks and hits per inning pitched) led all National League pitchers, as did his 5.87 strikeouts to walk ratio.